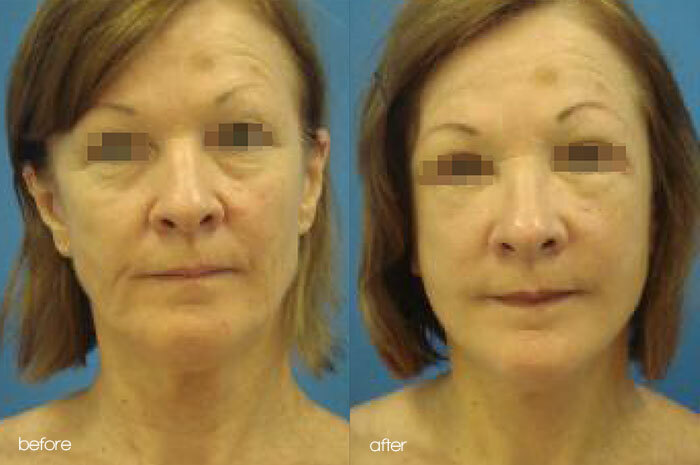 As we age, the fullness in our cheeks reduces, and often results in the development of jowls. A combination of fat in the neck, combined with skin that has lost its elasticity can also give the neck a looser appearance. As this continues, the neck muscles begin to separate and hang, creating ‘bands’ or otherwise known as a ‘turkey waddle’. 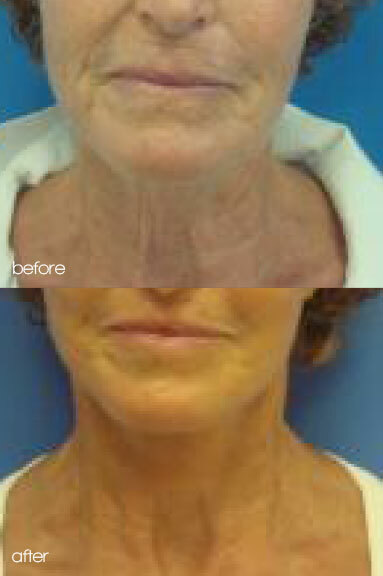 A Neck Lift raises and eliminates sagging skin and wrinkles and bands around the neck area and removes fatty deposits creating ‘Jowls’ at the jawline. 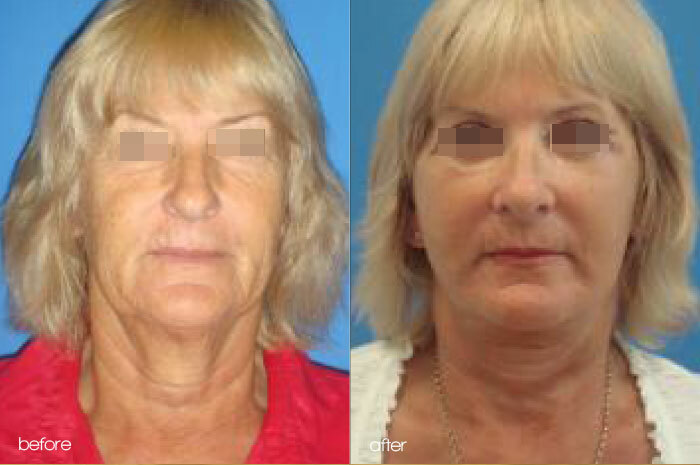 This procedure can be performed in conjunction with a Face Lift for a complete surgical rejuvenation package – see Face Lift procedure. Your Surgeon will make a small incision under the chin and possibly in front of and/or behind your ears. These incisions allow access to the Platysma (neck muscle) and any fat in the neck. 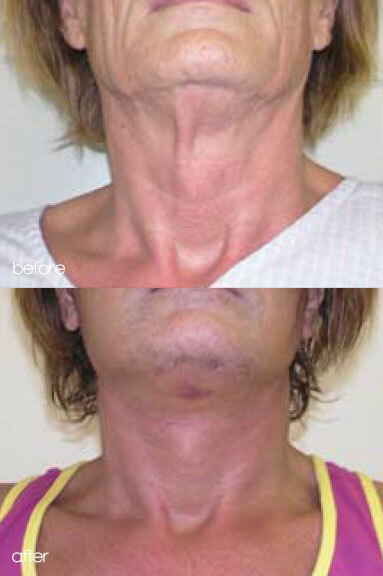 The neck muscles can then be tightened and any excess fat removed. 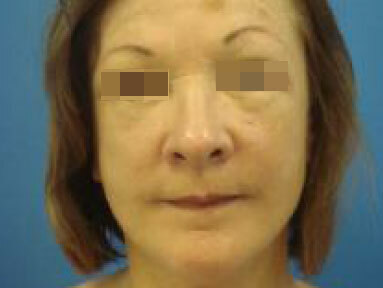 The incisions near the ears also allow for removal of excess skin. Once the muscle has been tightened and any excess fat removed the skin is brought together under or behind the ear. What can I expect during recovery from a Neck Lift procedure? 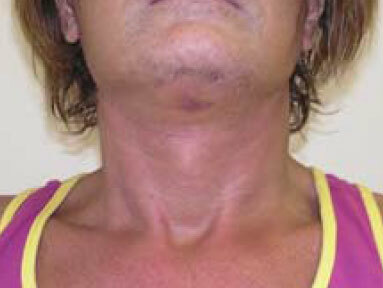 There will be some bruising and swelling after a Neck Lift. A recovery period of up to 5 – 10 days is required before resuming normal daily activity. 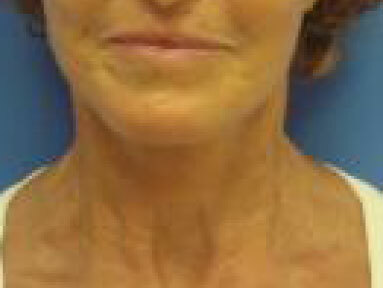 Will I have scars after Neck Lift surgery? Yes, like any surgical procedure you will have scars after having a Neck Lift, although they will fade over a few weeks, becoming faint gradually over time. Your Surgeon will ensure your scar size is minimal and is well-concealed under the chin and at the ears, where it is usually hidden by the hairline. How long will my bruising and swelling last? Your Surgeon will do everything possible to minimise the amount that swelling and bruising occurs post-surgery. Generally, swelling begins to resolve at the end of the first week post-surgery. Bruising depends on the patient, and usually lasts approximately 10 days. Complete settling of bruising and swelling may take 2 – 3 weeks. How long do I have to sleep with my head elevated? You should sleep with your head elevated for at least 1 week to minimise swelling. You will be able to shower 48 hours after surgery, however you must make sure that your incisions remain as dry as possible.